Laryngomalacia, or Floppy Larynx, is - 'a condition in which the tissues of the entrance of the larynx collapse into the airway when the child breathes in. This gives rise to noisy breathing (stridor).' It is caused by a congenital defect which causes the laryngeal muscles to not fully develop before birth. Most instances correct themselves by the age of two as children grow and their muscles strengthen. When we attended our eight week check I asked our GP to explain the diagnosis. He told me that the condition isn't that common. 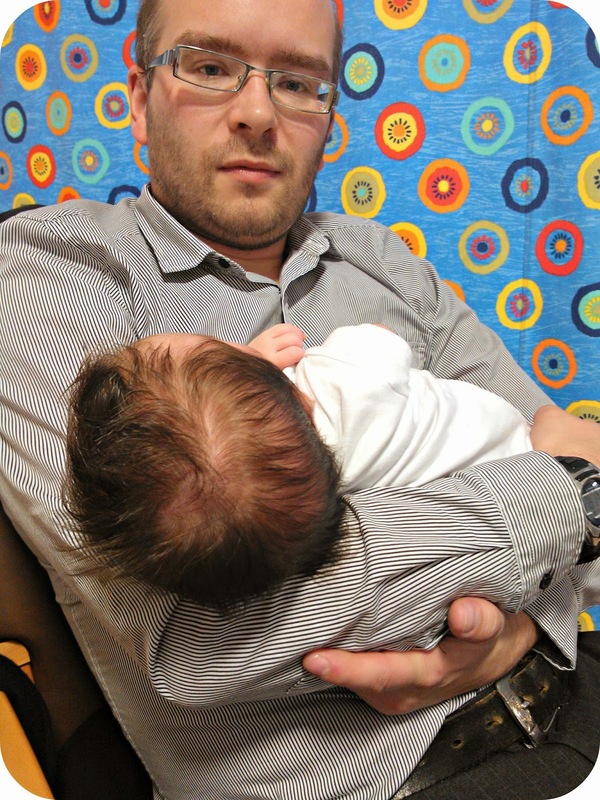 He had seen more cases during his training time in a paediatric hospital rotation as diagnosis often comes after a baby is presented to hospital with a chest infection or breathing difficulties. By this time I had done my fair share of Googling for information and found out everything I was told by our GP before the appointment. Most cases right themselves by the age of two, it can cause reflux and often babies who are diagnosed are automatically medicated for that condition, a small number of children don't get better as they grow to the age of two. Our GP stated that he didn't think it was cause for concern as LM was gaining weight and was a happy and healthy baby. He asked us to come back at six months if we were concerned. At six months, LM's stridor was about the same as at her initial diagnosis. It had worsened, then improved, just as predicted and, thankfully, apart from two weeks of silent reflux, we managed to escape that particular symptom. I didn't book her in as I felt that the condition was on track for her to grow out of it by the age of two. Ten months on I'm now not so sure. LM is now sixteen months. 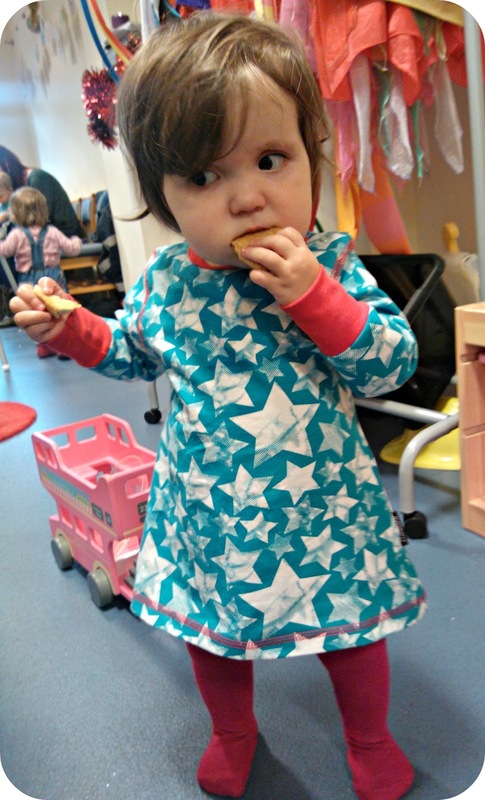 She is a tiny girl, wearing 9-12 months clothes (and, actually, would still fit in much of her 6-9 month clothing I think), she eats like a horse but grows slowly. Her stridor is still loud and we can hear her snoring when she is asleep in bed upstairs and we are in the lounge. She doesn't speak very much. I know we shouldn't compare our children but Bud started talking at nine months and hasn't stopped since. Her main form of communication is to point and grunt. I have no concerns about her understanding but I feel sure that she should be saying a little more than she is at the moment. Before Christmas we revisited the GP to express our concerns. I think she was rather taken aback to see us and admitted that she had no familiarity with the conditions, stating that she had never seen a family 'come back' with a floppy larynx, assuming that previous cases had corrected themselves. So, in front of us, she turned to Patient.co.uk and Wikipedia, just as I had all those months ago. In the end she thought that, as LM had only been walking for about six weeks, we needed to give her chance to be upright and see if that helped to strengthen her laryngeal muscles. We agreed that we would visit again when LM turns two to see if it has improved.